We gather together as a community because Christian life is lived within community. We gather together to be reminded of who we are and who God is calling us to be. We gather together to be challenged and encouraged by one another and the wisdom of our tradition. 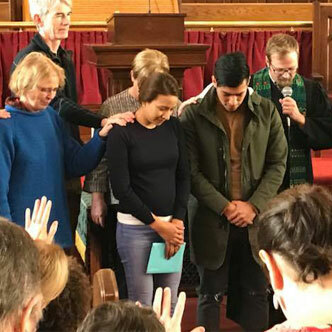 We gather together to engage in the practice of living out our faith, believing that faith is not a list of propositional beliefs, but an active choice to orient ourselves to God.